We are a Military Service and Social Club proudly affiliated and Chartered Member, with the National Royal Canadian Naval Association (R.C.N.A.) serving Naval Veterans' and all Veterans' alike in the Durham Region since 1952. Join the Naval Veterans' Club in Oshawa !!! You do not have to be a Veteran. The Oshawa Naval Veterans' Club offers and encourages comradeship, friendship and a spirit of good fellowship among former and serving members of the Royal Canadian Navy and Merchant Navy as well as other navies and seagoing people of the world. A very well stocked bar at modest prices! !!! Social Activities such as barbeques, banquets, meat rolls, snooker, darts, euchre, planned trips, cocktail hours, parties, parades, dances, etc... Then Come On Down and Check us Out! If you enjoy a good social atmosphere and community spirit, come join us now. As a Oshawa Naval Veterans' Club Member and Shipmate, a portion of your annual membership dues will be provided to the R.C.N.A. to help support their aims and objectives, so as a member, you not only support the Oshawa Naval Veterans' Club's aims and objectives, you also support the R.C.N.A. As a member of the Oshawa Naval Veterans' Club, you will also have access to reduced rates for hall rentals as well as your chance to win the famous Pot of Gold!! In addition, effective January 1st, 2012, if you are a O.N.V.C. Member in good standing and show up to the Club with ID on your birthday, your first favourite beverage of your choice is on us! Happy Birthday from the O.N.V.C.! You also receive reduced rates for the Battle of the Atlantic Dinner Dance, being a Shipmate has it's privileges. Join today! 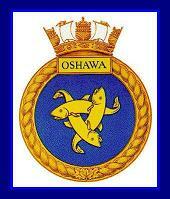 "Call the Oshawa Naval Veterans' Club at (905) 723-0871 or e-mail at oshawa.navy.club@hotmail.com for details!" A.T.M. (cash machine) available within the Club. If the above is of interest to you and you wish to become a member of our Club, take a few minutes and come and visit our Club or please click the link below for a Membership Application, complete and mail it in to our address that is on the form with a one time $10 non refundable deposit/administration charge. Upon receipt of your completed application and deposit, our Membership Chair will then contact you with details of your upcoming membership. Thank you.